Abhyanga is an ancient Indian Ayurvedic oil massage therapy for healing and detoxifying Body, Mind and Spirit. This ayurvedic detox and stress reduction therapy is performed by herbal oils. It incorporates an aromatic combination of oils prepared with herbs warmed and blended to your Dosha type. A variety of Ayurvedic techniques is applied to work along the energy channels of your body in a synchronized manner to restore the flow of vital energy, Prana, where it has become blocked. Lymphatic stimulation with ayurvedic herbal oils help squeeze out toxic accumulation from channels. Hence it is DETOXIFYING massage. Warm oil is the best remedy for Vata which is governing energy for healthy body and mind, Abhyanga oil massage initiates deep healing within cells. Hence it is one of the most popular therapy in Ayurveda Body work treatments. The session ends with steam therapy. Please note : Abhyanga Herbal Oil Massage Therapy is NOT a massage therapy. It differs from Western massage. 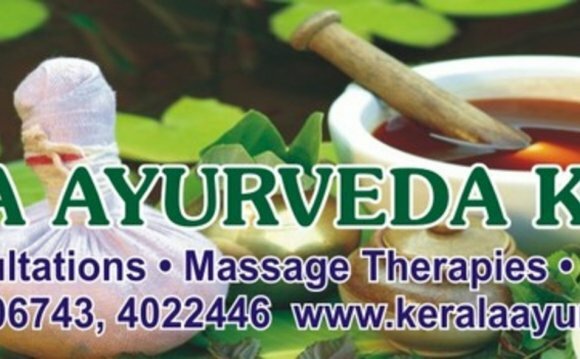 Ayurvedic oil Massage therapy is a holistic healing and complementary medicine program and NOT a conventional massage, oils are applied to detox physical toxins, mental toxins and emotional toxins and also for pacifying aggravated vata dosha (due to hectic and stressful lifestyle and improper foods/food habits) which is the root cause of imbalance, also it helps relieve stress. Abhyanga is an Ayurvedic external therapy where one or two therapists (signature therapy) use aromatic herbal oils. It is a holistic treatment also meant to nourish the body with healing touch and warmed oil, and certainly promotes healthy circulation and joints. This treatment is very balancing and is excellent for detoxifying toxins in your body. Ayurveda massage therapy is NOT only a muscle work but the approach is CELLULAR. Warm oils deeply penetrate cells and release physical, mental and spiritual toxins, hence it is detoxifying as well as healing CELLULAR therapy. Hence the stress is removed from the root place thus it promotes self healing of cells. Every oil therapy uses USDA organic oils and herbs which are carefully selected and customized for you. These herbal infused oils focus on detoxifying your body and eliminating the stored-up cellular waste which precipitate disease. Please note - Oil is generously applied during Abhyanga session and also all of our ayurveda therapies. Please do not plan social events or outdoor events after your Ayurevda session. Try to rest staying indoor. Also it is recommended to keep oil for minimum 2 hours (ideally 24 hours) on the body as it continues to heal cells after the therapy.